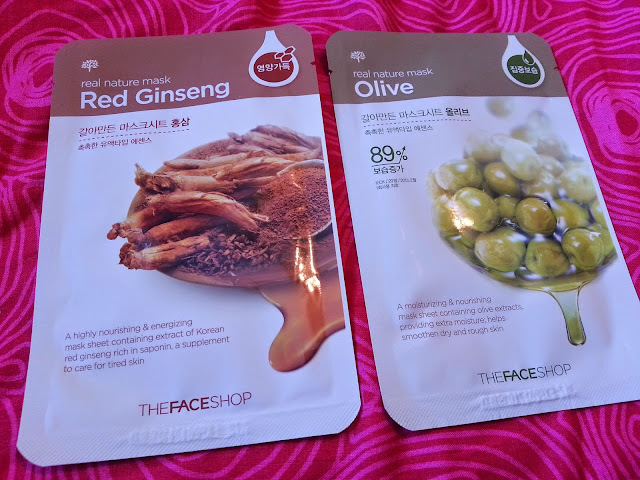 Deidre's Discoveries: The Face Shop - Mask Haul! I'm still fairly new to the facial mask world. The first mask I tried was in the summer, and it was the Glam Glow Tinglexfoliant mask. I got it in an Ipsy bag, and I loved it. I actually was able to stretch the sample for a few months. 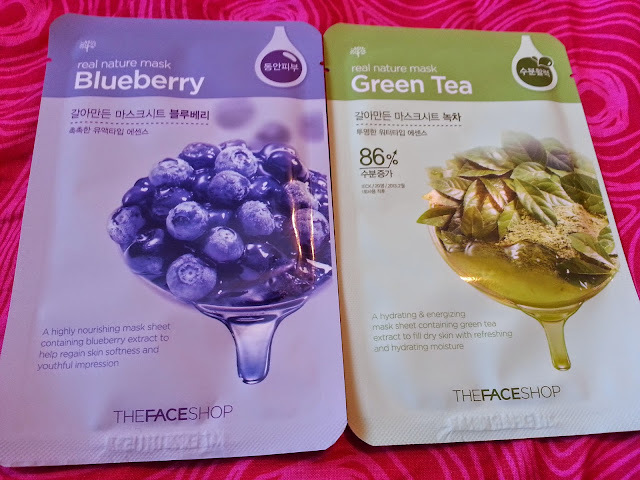 Next up I tried the Freeman Beauty - Acai Facial Purifying Clay Mask which I also really enjoyed, and I am still using up. I also recently tried the Boscia Luminizing Black Mask (which I still need to keep testing and write my review on) that I got as a 100 point perk from Sephora. 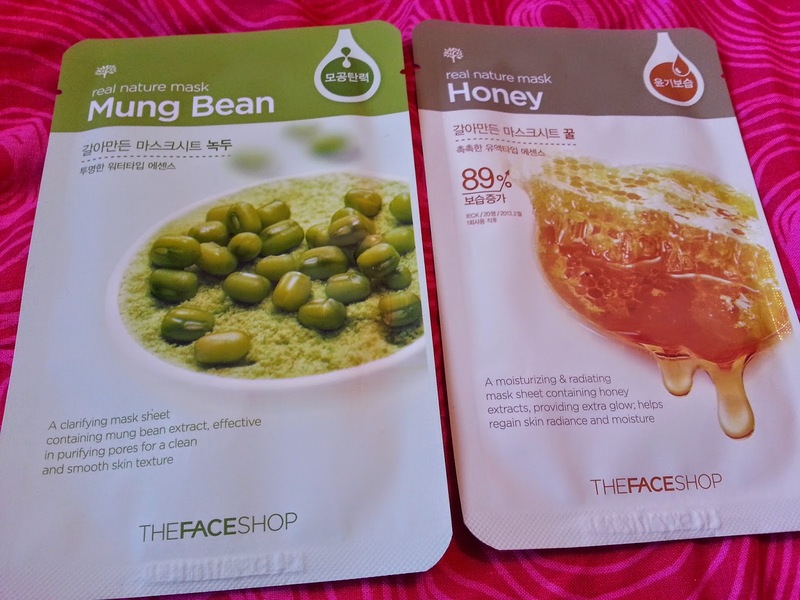 But what I really wanted to try - was a Korean sheet mask. I see these everywhere in the blog world, and I just couldn't resist anymore. There are so many types and positive reviews, that I gave in and placed an order. 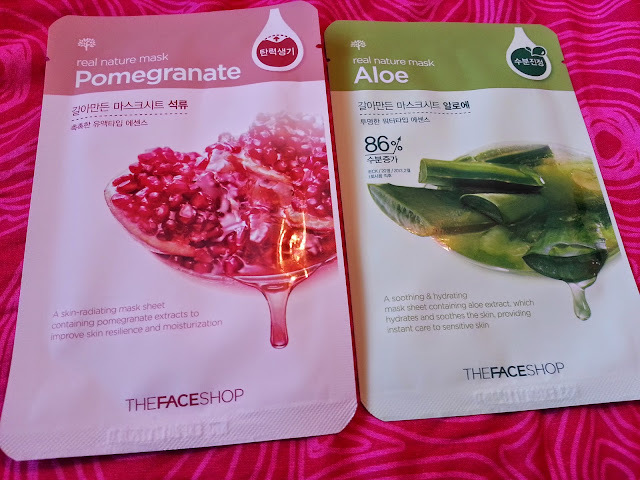 (Excuse the cat tail - he just had to be in the way, even after I nudged him a few times) I ordered a multi-pack, and they are all from The Face Shop. I also haven't had a chance to get into their store and look at what they have, we recently just had one open up in the mall here. I'm also poor, so it would just be torture to go in. A good torture though haha. Kelp - A purifying mask sheet that contains kelp extracts helps enable a pure skin appearance. Avocado - A moisturizing & nutritioning mask sheet containing avocado extracts, providing extra nutrition; helps re-energize dry and rough skin. Green Tea - A hydrating & energizing mask sheet containing green tea extract to fill dry skin with refreshing and hydrating moisture. Pomegranate - A skin-radiating mask sheet containing pomegranate exracts to improve skin resilience and moisturization. Aloe - A soothing & hydrating mask sheet, containing aloe extract, which hydrates and soothes the skin, providing instant care to sensitive skin. Mung Bean - A clarifying mask sheet containing mung bean extract, effective in purifying pores for a clean and smooth skin texture. 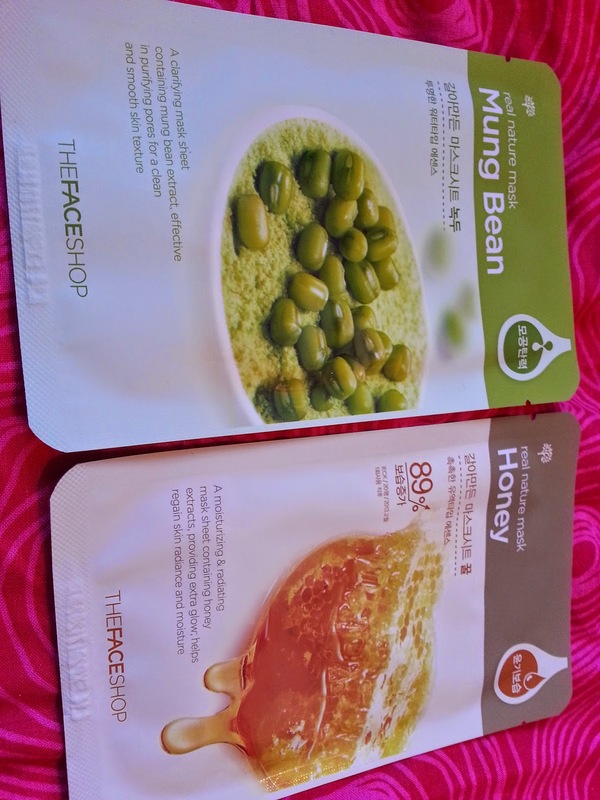 Honey - A moisturizing & radiating mask sheet containing honey extracts, providing extra glow; helps regain skin radiance and moisture. 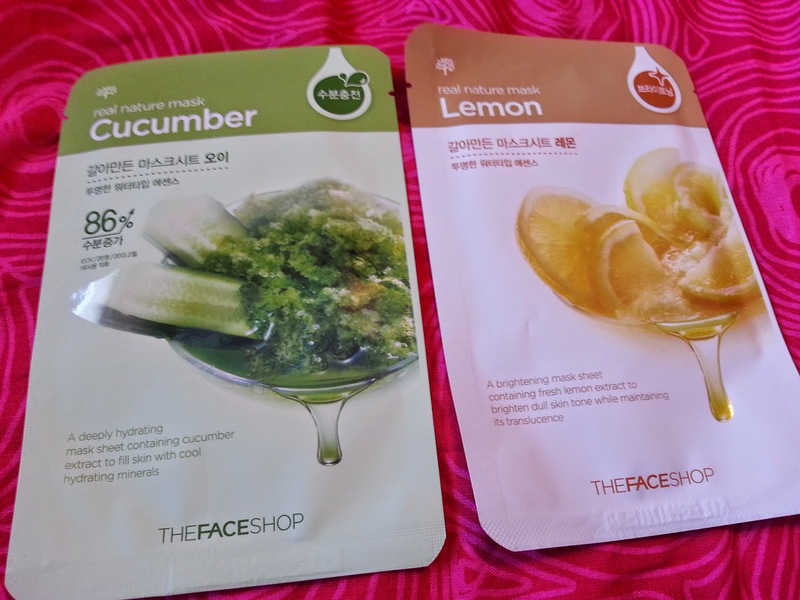 Cucumber - A deeply hydrating mask sheet containing cucumber extract to fill skin with cool hydrating minerals. 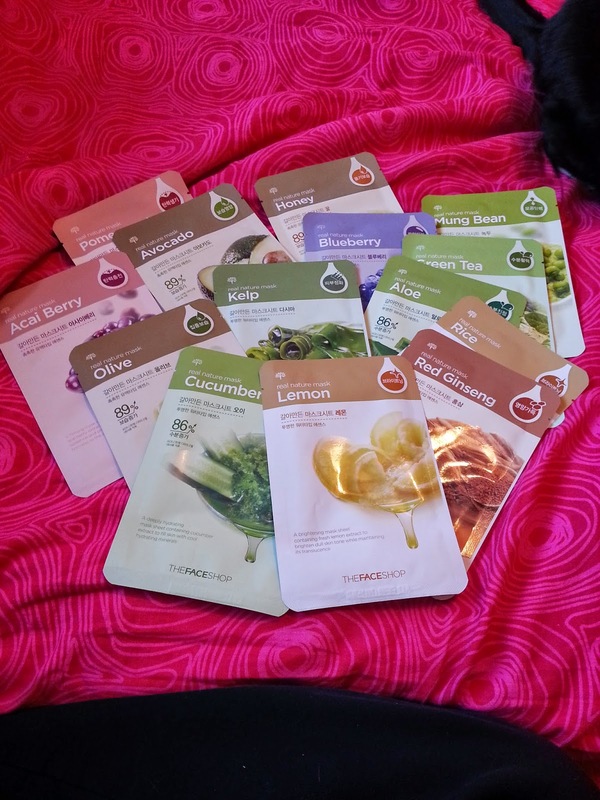 What I will do, with each mask I use, I will provide a review, breaking this into 14 little quick reviews. 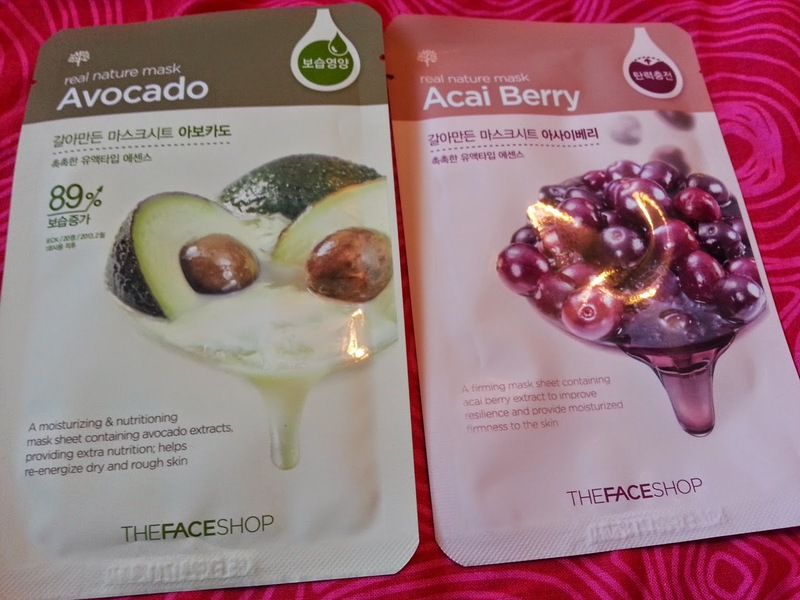 I look forward to trying honey, avocado, and olive the most - just because of their extra moisture features! You will love them all!!! 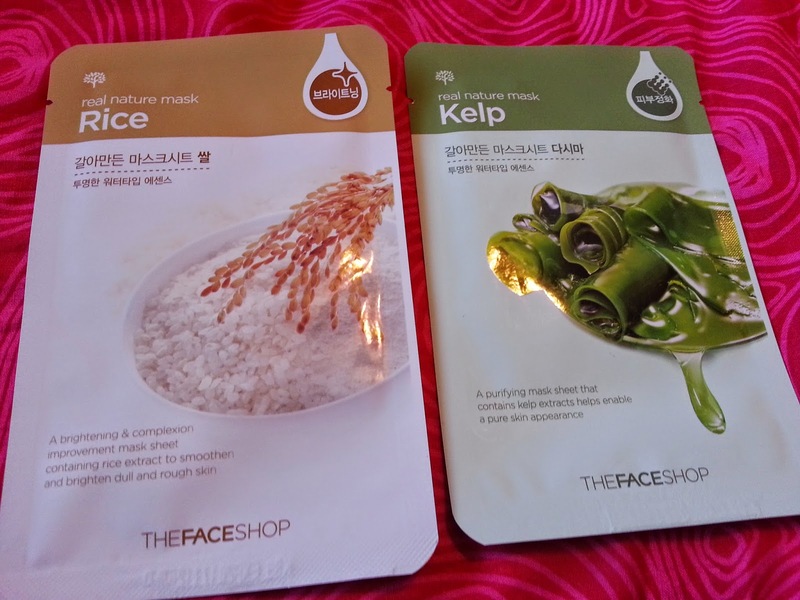 The Rice one is my favorite - for $2 these are my favorite masks!! Seeing these makes me want to go buy more even though I just got some!! Yes, usually as part of the big Korean skin care routine your face will feel quite different than throwing on a moisturizer and going to bed - that's why they say do it at bed time! The essences can be quite sticky!